Deeded Rights To Englewood Beach Associations On Lewis Bay!! Back deck and newly installed outdoor shower. 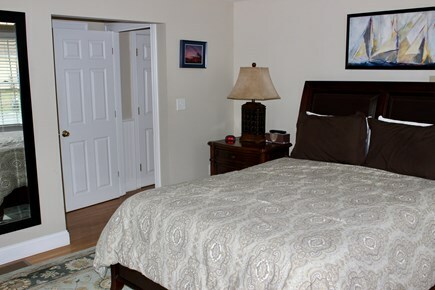 1.3 miles from Cape Cod's famous Seagull Beach or just a short walk to your own private beach on beautiful Lewis Bay or a short drive to the beautiful Mayflower Beach. 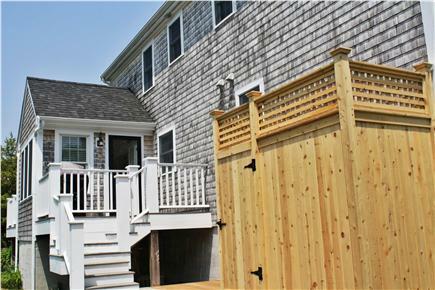 This newly renovated summer rental sleeps 8 people in its four bedrooms featuring two Master Suite's one on each floor and 3 ½ baths. 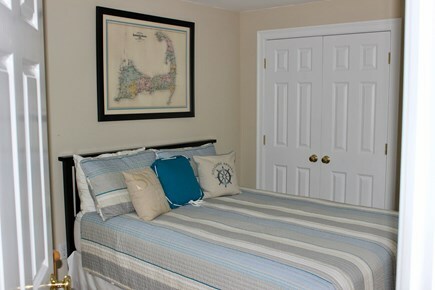 Not only is it tastefully furnished throughout, the home also includes; newly installed hardwood floors in all bedrooms, central air conditioning,oversized washer/dryer,new outside shower, cable TV, wireless high speed internet, gas grill, and surrounding mahogany decks for plenty of entertaining space. A cook’s kitchen with all stainless steel appliances and granite countertop’s, also includes all the necessary kitchen utensils, pots and pans. 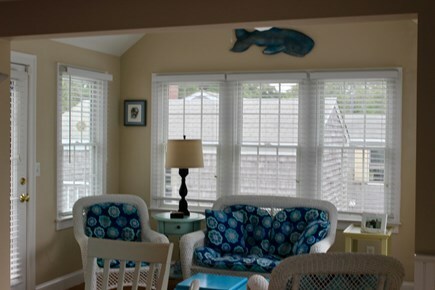 Patio furniture along with beach chair’s are included. 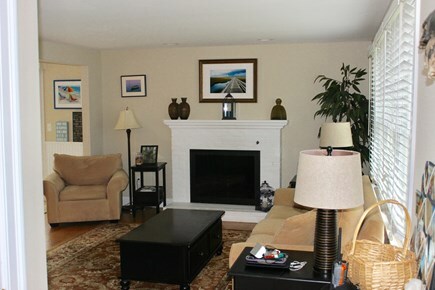 All this is located in a great neighborhood with all amenities close by. Make this a hassle free vacation by just arriving! Linens and towels are not provided by owners. Additional pricing info: Discounts Available for Multiple weeks, State and local taxes of 14.45% will apply. This house lives up to the description and then some! I would stay again...very clean and great location!! We stayed at George and Joy’s beautiful Cape home for a week in July 2016. We had three couples and three children in our group and found the house provided the perfect amount of privacy and space – especially with the two master suites. We were impressed by not only how quiet the street was in the lovely neighborhood but also the house itself. People were able to sleep in easily while others got up early, made coffee and chatted in the sun room. You couldn’t hear a thing! The house has new, modern finishes, was immaculate and the kitchen was supplied with everything you would need even including less common items such as a salad spinner. The pots, pans and knives were high quality. 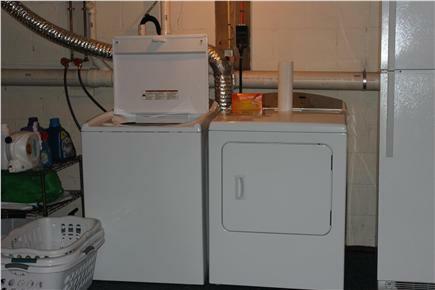 The beds were very comfortable and the washer/dryer was huge allowing us to throw in a bunch of beach towels at the end of the day. We enjoyed the outdoor shower at the end of the day and the deck space. Our kids loved the yard space. The location was perfect being only a few minutes in the car to Seagull Beach, a 15 minute drive to our favorite Dennis beaches and shopping/dining in Hyannis. A Stop & Shop and liquor store were about 10 minutes away and a gas station about 2 minutes for those quick stops for ice and milk. George and Joy were available for any questions we had. We truly could not have asked more. We highly recommend this home. 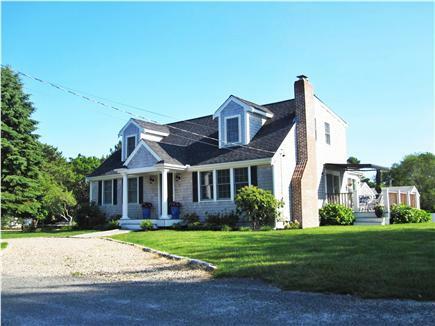 Our family just returned from our vacation at your beautiful Rainbow Road home is West Yarmouth. 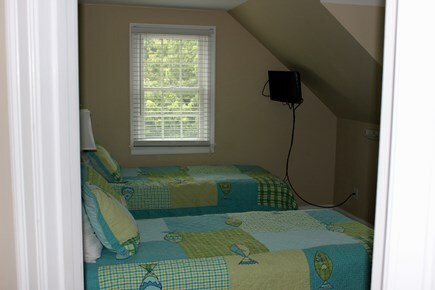 It has all of the amenities and a great location as well. We thoroughly enjoyed our family time there together. We were very please with your home and thank you! Felt like home away from home! The house was beautiful, clean and nicely updated. It was within walking distance to the private beach, Seagull Beach and local stores. 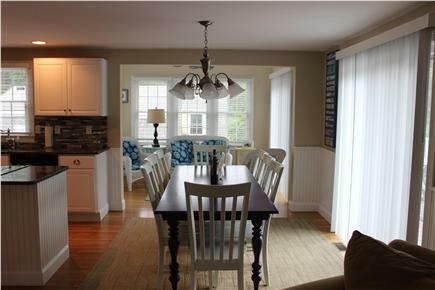 Close to Hyannis and so much more. 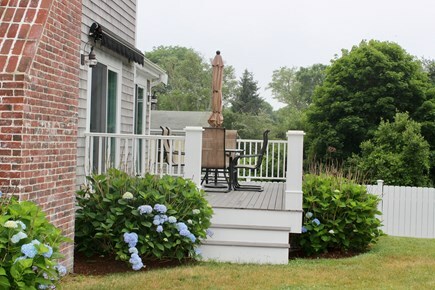 We loved the charm, indoor seating porch and outdoor deck. The home offered sample space for the family to spread out and come together comfortably. Great home!! Would stay here again in a heartbeat. George and his wife were a pleasure to work with, so attentive and answered every question! We had a fantastic week on the Cape. Your house worked well for all of us, with the outside shower being a big hit. For years we spent vacations in South Hero Vermont on Lake Champlain. The family "camp" was sold several years ago and we really miss it. Spending a week on the Cape with al of us together was great. P.S. The bottle of wine was wonderful! Thank you! We purchased this home in December 2011 to spend time together as a family! Since that time we have grown to love not only the house but the neighborhood. Everything you would need is a close drive and convenient. We come every summer and this house is our home away from home. It offers everything that we need to make our time there enjoyable. 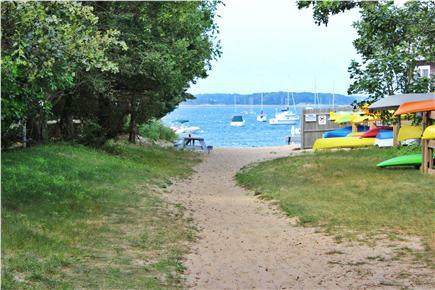 This property offers our tenants a private beach on Lewis Bay! 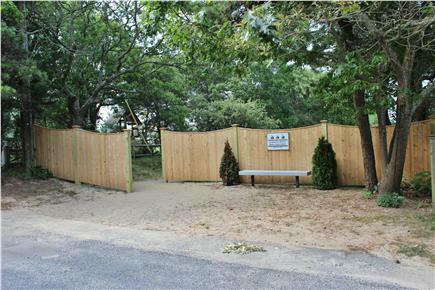 A close drive to Seagull Beach and Mayflower Beach and is located in a great quiet neighborhood only minutes from all the Hyannis has to offer. 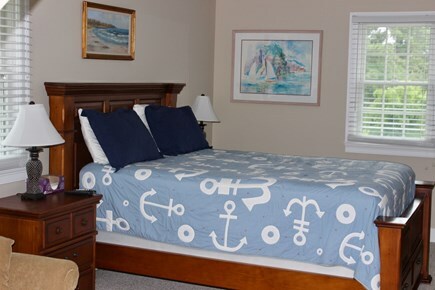 The house itself has two master bedrooms and two additional bedrooms that makes a family vacation possible for multiple families. 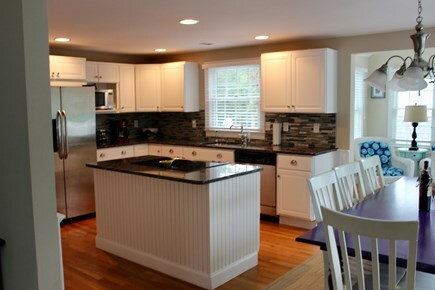 It is fully stocked with all the necessary kitchen appliances and cookware so that cooking at home is possible. Two driveway for convenient parking for multiple cars. This is located in a great quiet neighborhood. A short drive offers all the services that you will need.